Will humans ever be able to live on other planets? Former NASA astronaut Dr. Dave Williams is the person to ask. It turns out that Earth is a pretty good place to live. Finding other habitable environments in space is no easy task: temperatures on Mercury are ten times hotter than on Earth; winter on Neptune lasts about forty years, and Uranus is ten billion miles (sixteen billion kilometers) away. But there is one planet that looks promising: Mars. Even though it takes six months to get there, Mars most closely resembles Earth. So what would it take to make it habitable--and what would life look like there? As in the other three titles in the Dr. Dave: Astronaut series, this book demystifies space travel. The science is explained in simple terms while the sense of adventure is ever-present. 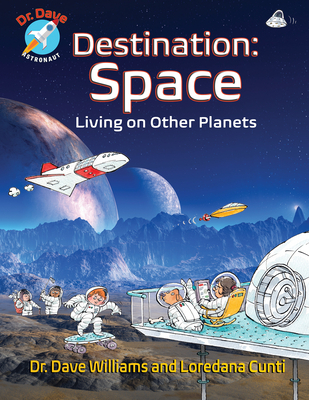 This book belongs in the hands of every child interested in space, and in every classroom where STEM is taught.